Natural Stone Stacked Panel, Tarah 7 sq. ft. Panel 6 in. x 24 in. x 0.40 in.- 0.80 in. Natural Stone. 7 pieces/7 SQFT per box, 175 SQFT/1420.75 LBS per crate. Slate/L Shape. Panel 6 in. x 24 in. x 0.40 in.- 0.80 in. Balancing the unique appeal of natural stone with the reliability of expert craftsmen, Koni Materials brings you the Citali Series. 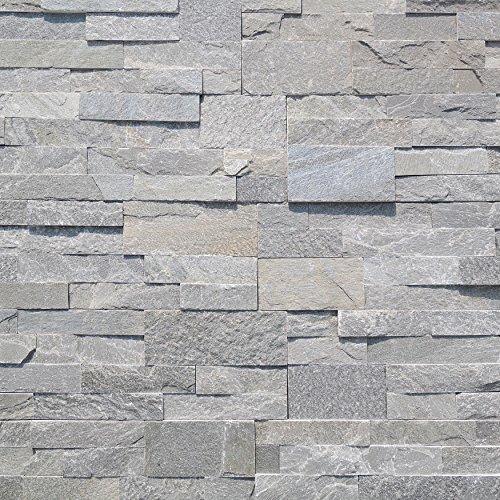 The Citali Series is our natural stacked stone paneling, available in various styles and colors. The variety in which Citali is created makes it the perfect material for almost any project. **Colors and shades shown online are as true a match as possible.